Over the last few years the Gary Community School Corporation has faced a loss of state funds and declining enrollment, leading the district to make some tough financial choices when it comes to their schools. One of the more dramatic instances of this over the last few months was when the State Board of Education voted to close Dunbar-Pulaski middle school, one of the district’s chronically failing schools. This was the first time the SBOE closed a failing school without attempting any turnaround efforts first. The reasoning behind that decision was because the district couldn’t afford to keep the school open during a turnaround period. The amendment to the state budget I proposed creates a coalition of individuals and groups at both the state and local level. They include financial specialists, local leaders and the state’s Distressed Unit Appeals Board, the same entity that assisted with Gary’s finances in the past. They will be charged with crafting a plan of action where local officials, School Board members, a financial adviser and the DUAB work together to create the recovery plan for the district. The first step is a public hearing where there will be a presentation on the district’s current financial status. From there, the DUAB will present the School Board with three suggested financial advisers from which they may choose. If the School Board chooses one of those financial advisers, that person will assist the board with financial and debt management over the course of the next year. Delay or suspension of payments to the common school fund or interest free loans are recommendations the DUAB can make to the State Board of Finance on behalf of the school corporation. If the School Board does not make a choice from the individuals recommended by the DUAB, it may withdraw from the process altogether. 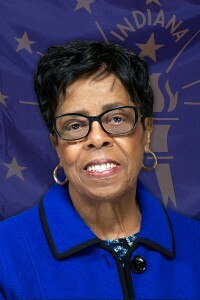 Rogers also writes that while this plan is specifically designed for the Gary Community Schools, the problem isn’t unique to their community and could be used in any area of the state facing a lack of funds for their schools.